Majesco officially reveals Rollin' Rascals for the Nintendo DS. 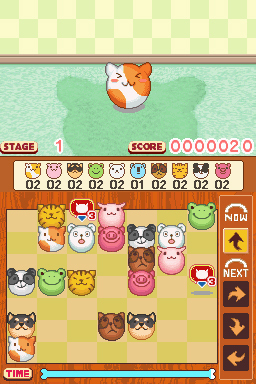 This puzzle game will challenge players to roll a bunch of matching animal heads together in order to clear the board before time runs out. 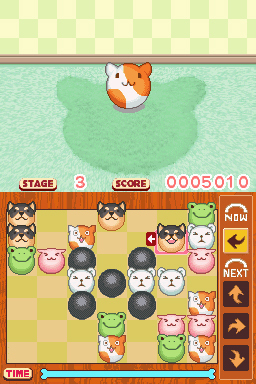 So what's the story behind this quirky game? Seems like some well-rounded animals from the Kololo Kingdom got themselves kidnapped and it's up to you to save them. 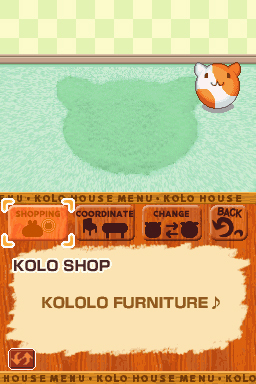 Modes include Attack, Challenge, Battle and Kololohouse (level editor). "Rollin' Rascals is as charming as it is addictive; just a few rolls around the game board is enough to hook you on this easy-to-play little puzzler that gamers of all ages will enjoy," said Gui Karyo, Executive Vice President of Operations, Majesco. The game will be priced at $19.99 and is scheduled to ship in July. For more screenshots, go to Rollin' Rascals' media page.